A woman's journey to living a healthy lifestyle. Wow.... It's been some time. Where to begin. In October 2013, we found out news that would change our life. We were pregnant!!! I worked out during my pregnancy but allowed myself to love my body during this time of change. In July 2014, we had our first beautiful baby girl. She's absolutely amazing! I continued my fitness journey, became a personal trainer and began hosting a bi-weekly bootcamps. 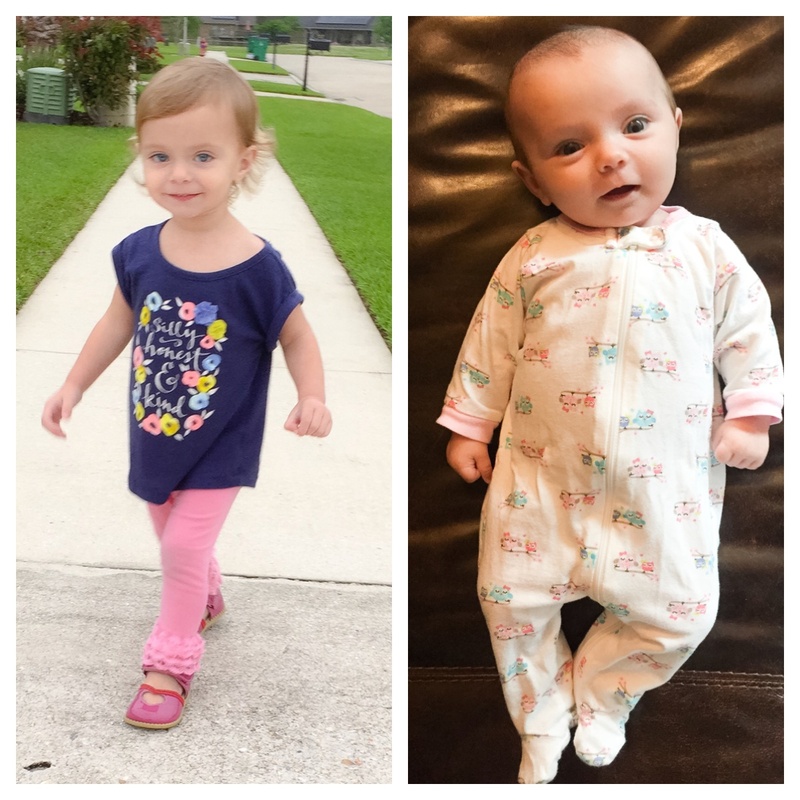 Fast forward to June 2015, 3 weeks before our little girl's first birthday. Surprise! We were expecting again!! And boy was it a surprise. We were expecting our second little girl!!! Our second little girl made her appearance March 2016. Two girls under two. Crazy, I know! But we love our crazy life!!! I want to fit back into my pre-pregnancy clothes, run marathons again, do 50 push ups again with no problem. I have a long way to go. But I don't want to go it alone. I want a team. A team of people who want to live healthy lives, be confident, strong, fit. What am I currently doing? You mean, besides chasing a VERY active toddler and spending countless hours cooing and smiling at a beautiful infant? Lucky, I know. Nut seriously, I am changing my mindset to focus on myself, my husband, my family. Focus on my health. And pursing being a Fitness Coach through Beachbody. Beachbody is one of the leading fitness companies in the US. They have AMAZING fitness programs for every level, solid nutrition programs (which I'll be incorporating into my nutrition counseling) and a great, nutrient packed meal replacement shake called Shakeology. Trust me when I say, I've done my research on this shake. It's packed with superfoods, vitamins, minerals and protein. It's legit. Now I haven't always been an advocate of drinking your foods. Eating clean, balanced meals are a must. I believe nutrition is the foundation of healthy living. But I can say, with having kids, sometimes I find, I miss meals. So I had to find a solution. And I found it in Shakeology. Through Beachbody and Facebook, I'll be hosting Challenge Groups each month. These Challenge Groups are for everyone from all over. These groups will provide motivation, meal plans, accountability and so much more. I'm looking for my team. No Gym? Full Body Workout in 3 Moves. As a health coach, I have heard every excuse in the book. As a former over-weight person, I have said every excuse in the book. I have heard why a person can't eat healthy to why they don't have time to workout. I commit 100% to my clients and I expect them to have that same commitment to themselves. Before I veer off track, let me say this. I know EVERYONE, no matter who you are, what your schedule looks like, what your situation is, can make a change. 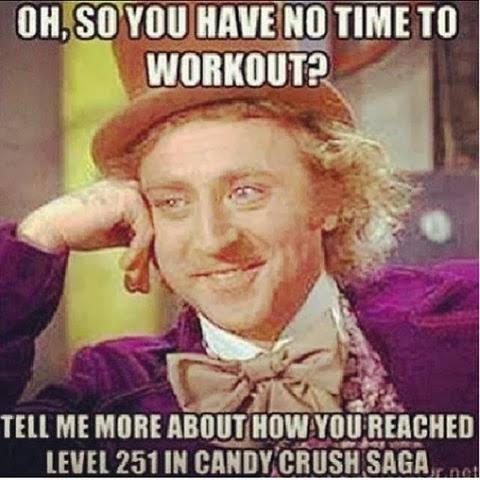 I'm here to eliminate the excuse of no time to workout. I posted a picture on my Instagram this week. It's a little nudge at the crazy popular game, Candy Crush. I don't play this game and have purposely stayed away from it due to the fact that everyone I know who has played it is addicted. Look, I understand busy lifestyles. I work a full time job which involves travel at times, manage my husband's accounting and book work for his Air Conditioning Business, co-own a photography business, offer Health Coaching, assist in Leading Fitness boot camps 4 times a week, training for a marathon and all the while, being a wife, cleaning the house, cooking... You get the point. Set a challenge for yourself to do 5 a day for an entire week. Each week add 5 per day. Build up to 50 a day. I promise you, you will feel great, you will get muscle definition and you will see your overall health improve. It's hard and you have to go at your own pace, but try it. Here are the moves: Jump Squat (Quads, Hamstrings, Calves, Gluts, Core) to the Right, Go into a Burpee (Chest, Shoulder, Back, Core) and a Push Up (Bicep, Triceps, Back, Core). 3 moves. Come back up and repeat. You can do this in your living room while watching your favorite shows. But I can promise you, it's hard. Monitor your heart rate. And again, start off with a lower number and build your way up. 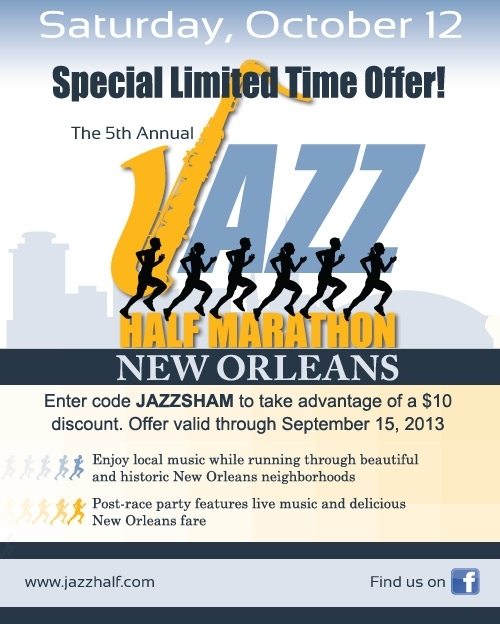 Jazz Half Marathon Discount- This weekend only! One of my favorite races is coming up. And if you have been training, but haven't signed up yet, do it this weekend! This is the best race in New Orleans! And it benefits Children's Hospital. I made this the other night and it was sooo good. 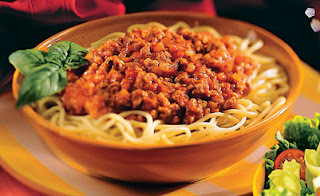 And it's so easy to make in bulk, jar it and freeze it for a quick, easy Spaghetti and Meat Sauce Dinner. Add a side salad and you are ready to go. I love easy cooking nights. Mix all the ingredients, except the turkey, in a medium bowl. Fold turkey in to sauce. Put everything in a cork pot and cook on low for 4-6 hours. Enjoy over pasta or by itself. It's really that good. I'm still eating it days later. ** If you want to make it in bulk, just increase the ingredients. Once it's done cooking, let the sauce cool to room temp. Put in pint size mason jars and freeze for another dinner. Remember to take a jar out of the freezer the night before you want to serve it. Put it in a pan and reheat. 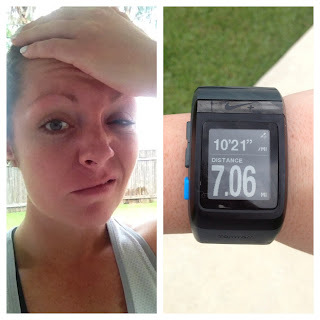 Running Without Injury and a Facebook Contest! But he fixed it and told me after the surgery that I have little to no cartilage in my knee. Then in 2010, I was in a bad car accident and banged up my knee again. This time, we had to scope it again. So all that to say, I have to be extremely cautious while running. Running is so much more than exercise for me. It really is therapy for me, helping me to release tension and stress, while I get to enjoy the scenery around me. Last Saturday, after an easy 7 mile run, (I'm in the middle of training for the Marine Corps Marathon, so 7 miles is an easy run right now), my knee began to swell internally. By Sunday, it was so swollen, I could not bend it. So on Monday, off to my OS I go. MRI was done and he found the knee to actually be in the same condition as it was before. No damage. After getting chewed out for running (I never told him that I became a runner), we had a long talk about how I could continue to run with my knee being in the condition that it is in. Here is the verdict, some of my opinion and some doctor's advice. Running is hard on your joints. Everybody knows that. But it is soooo good for other areas of your body, namely your heart. Proper training is key. No one and I mean, no one, can just wake up one day, decide to go for a mile run (without proper training and conditioning) and expect to enjoy the run. It would be miserable. Your breathing would struggle, you would probably have a crazy high heart rate and most of your body would hurt, while trying to revolt. It's like weight lifting. You aren't going to walk into the gym one day and lift 150 lbs. You have to build your muscles up to that. Start by walking, but walk as fast as you can for the amount of time you have. Do this 3 times a week. Each week, you will find you will be walking at a faster pace. Before you know it, you won't be able to walk any faster. You will be ready to begin to add a little jog to your walk. This is when I recommend Jeff Galloway and his Run-Walk-Run system. It has been the foundation of my training for anything. The concept is that by taking small walk breaks during a run, fatigue is almost non-existent, you are able to finish strong and healthy. My recovery time after a marathon is about 1-2 days. By the 3rd day, you would have never thought I ran a race. I believe this system speeds up recovery time. This system will allow me to be a strong, successful runner long term. Not just for the time being before I get an injury and won't be able to do it anymore. I get told over and over again from people that they hate running and I will admit, I did to at one point. I wasn't conditioned and it was miserable as I described above. We are created to run and I believe anyone can become a runner with proper conditioning. 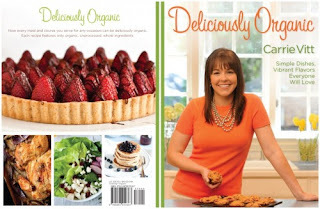 Stop by this week on my Facebook page Healthy Happy Girl. I'm giving away one of my favorite cookbooks, Deliciously Organic! All you have to do is stop by my Facebook page, "Like" it and Share the contest post on your Timeline. The winner will be chosen Thursday, September 12. I'll email the winner via Facebook! The information provided on this website should not be construed as personal medical advice or instruction. No action should be taken based solely on the contents of this site. Readers should consult appropriate health professionals on any matter relating to their health and well being. The information and opinions provided here are believed to be accurate and sound, based on the best judgment available to the authors, but readers who fail to consult appropriate health authorities assume the risk of any injuries. This website is not responsible for errors or omissions.